10KM Jungle Trail Race 2017 | JustRunLah! In conjunction with the 110th Anniversary Celebration of Perak Chinese Chamber of Commerce and Industry (PCCCI, 霹靂中華總商會), we will be organizing a series of events from June 2017 till April 2018, such as a 3 Days Cycling event around Perak, 10KM Jungle Trail Race, Ipoh Cultural Parade, Ipoh International Food & Beverage Fair, publishing of a photo book, etc. The objective is to attract worldwide tourists to visit Perak as well as international investors to stimulate local economic activities. 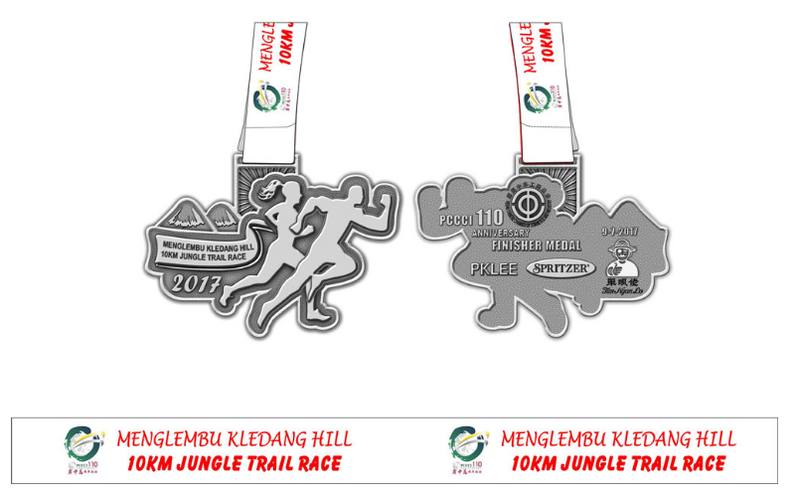 In order to promote and explore the wonders of Perak, we will be having a 10KM Jungle Trail Race at Menglembu Kledang Hill. All sports enthusiast are welcome to challenge their limits and embark on this exciting race. Kledang Hill stands at 800m (2640 feet) and located at Menglembu Township. The hill is highly popular with local folks with many people at dawn and dusk working out enthusiastically. Either biking, walking, running or jungle trekking. From the many trails leading towards the peak, one can enjoy the view far and wide with a bio-diversity of flora and fauna along the way. This Jungle Trail Route IS DONE by the committee members of “Kelab Kledang Joggers Menglembu (KKJM)”. They are famous with all sort of Jungle Tracking Events In Ipoh.